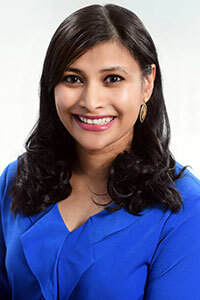 Dr. Anwar was born in the small South Asian country of Bangladesh, and moved as a young girl to Queens, New York. Motivated by her love of children and medicine, she was accepted into an accelerated medical program in NYC for talented high school students known as Sophie Davis School of Biomedical Education. This is a unique program that integrates undergraduate education with the first two years at Albany Medical College. Dr. Anwar went on to complete her MD degree at Albany Medical College and then completed her residency in one of the busiest trauma hospitals in Brooklyn. Following residency Dr. Anwar spent just over a year practicing general pediatrics at a clinic in Syracuse, NY. During this time she fell in love and was married in Long Island just days after Hurricane Sandy. She then moved to Atlanta, where she is enjoying the opportunity to put away her snow shovel and begin her new life learning to be a Southerner. She is glad to have the support of her husband and his extended family, all of whom have lived in the Johns Creek area for many years. Dr. Anwar’s hobbies include traveling, cycling all over Atlanta, eating out in local and ethnic restaurants, reading, writing, and cuddling up with her doggie. She is fluent in Bengali, and conversational in Hindi and Urdu.